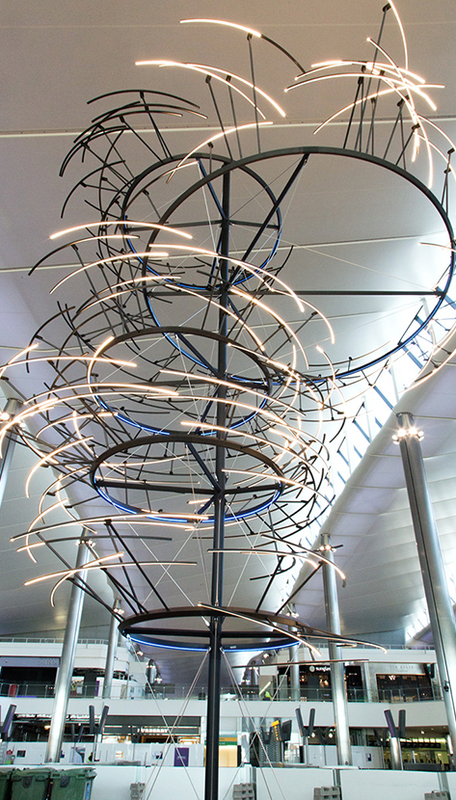 This 13-metre-high centrepiece sculpture for the departures lounge at Heathrow’s new Terminal 2 was engineered in collaboration with designers Cinimod Studio. 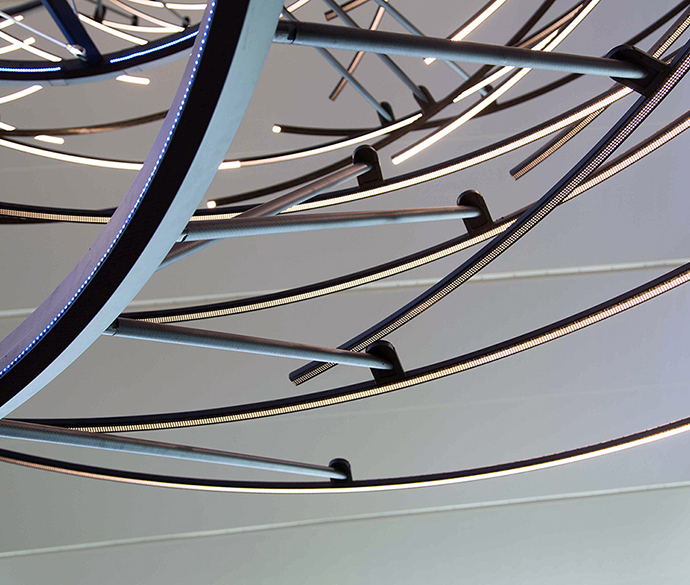 It features 350,000 individually controlled LED lights arranged on 150 two-metre-long arcs suspended from a central mast. The LED lighting patterns are controlled in real time from a mesmerising live physics simulation modelled on the complex movements of a school of fish in the ocean, a phenomenon known as ‘emergence’. 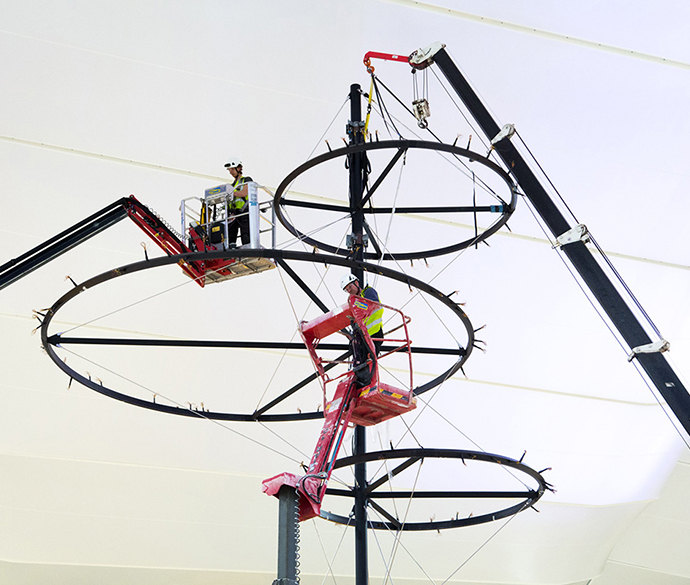 The structure is generally designed and fabricated in carbon fibre, borrowing from the advanced composites used in the aeronautical industry, with a slender central mast and hoops stabilised by stainless steel cables. 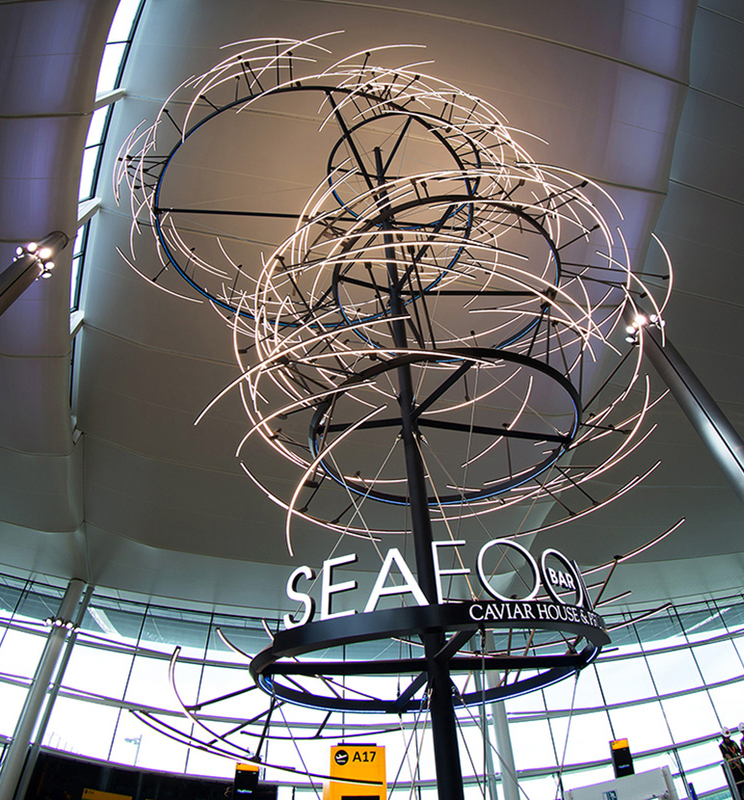 This lightweight design was developed to meet the challenges presented by the sensitive site of the new terminal, which had restrictive loading guidelines and required that no additional support be taken from the terminal’s roof or columns. TALL also designed bespoke, hollow structural connections to allow on-site construction and conceal over one mile of wiring. 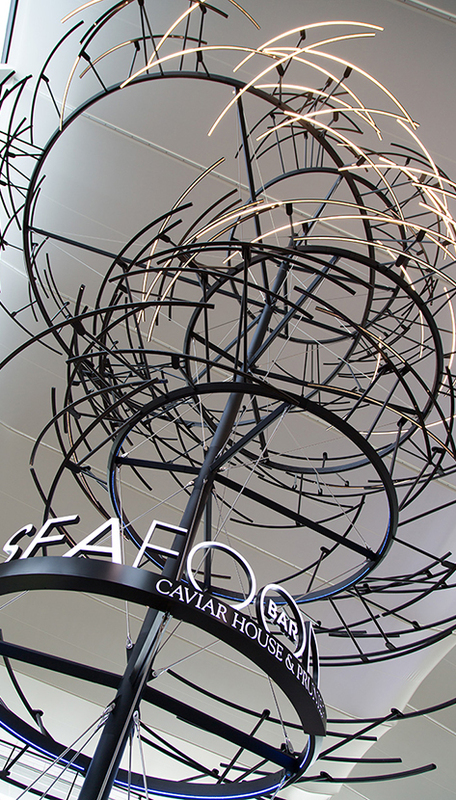 Video: “Emergence” for Caviar House & Prunier, London Heathrow Terminal 2 from Cinimod Studio on Vimeo.